JUDGE Francisco Seville Jr., dismissed the criminal case filed against Cebu City Councilor Joel Garganera over allegations that he failed to return a government-owned vehicle in 2016. In an order dated January 30, Seville ordered the dismissal of the case for lack of interest and for failure of the private prosecutors to prosecute the case in an unreasonable length of time even if the information of the case was filed last March 7, 2017. City lawyers Daisy Mae Garong and Anthony Sing served as private prosecutors of the case. Department of General Services Chief Ronald Malacora, who executed a judicial affidavit, also failed to appear before the court. In an interview, Garganera said the case filed against him was bound to be dismissed. “It was just another tactic of the administration to impose fear upon the supporters of the opposition,” he said. City Attorney Joseph Bernaldez declined from commenting on the development as he has yet to verify it with the lawyers handling the case. City Councilor Margarita Osmeña filed the case in 2016 while she was acting mayor. Garganera, who was then the barangay captain of Tinago, was charged for violation of Article 221 of the Revised Penal Code (failure to make delivery of public funds or property) before the Municipal Trial Court in Cities Branch 7. 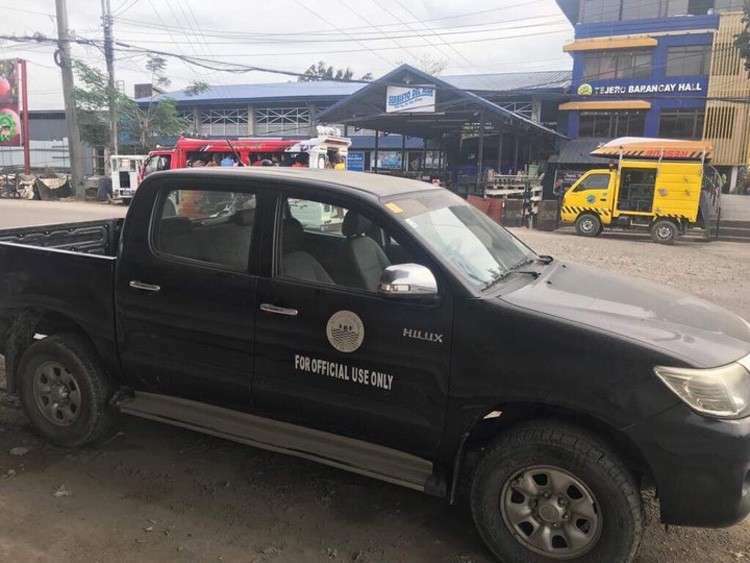 It was filed after seven barangay captains failed to return on time the city-issued vehicles on orders of Osmeña, who asked for an inventory of the vehicles. Apart from Garganera, Councilor Osmeña also sued Tisa Barangay Captain Phillip Zafra, Tigbao Barangay Captain Ana Tabal, former barangay captains Ramil Ayuman of Apas, Yolandito Cagang of Basak Pardo, Rosalita Callino of Buot and Lemar Alcover of Sambag I, all allies of the opposition. Garganera said that after he returned the city-issued Toyota Hilux pick-up, it was given to former Tejero barangay captain Jessielou Cadungog. He said the vehicle is still in Tejero and is deteriorating due to lack of maintenance.